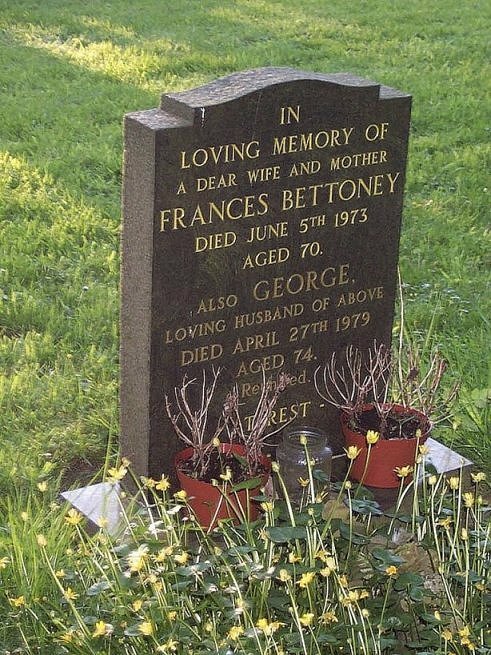 In loving memory of a dear wife and mother Frances Bettony. Died June 5th 1973 aged 70. Also George, loving husband of the above, died April 27th 1979 aged 74.